This is a special technique, originating from the Mediaeval era. Wearing clothes with gold embroidery was a sign of high social status. I took a course with Margreet Beemsterboer in this technique and she encouraged me to use these strict rules more freely. 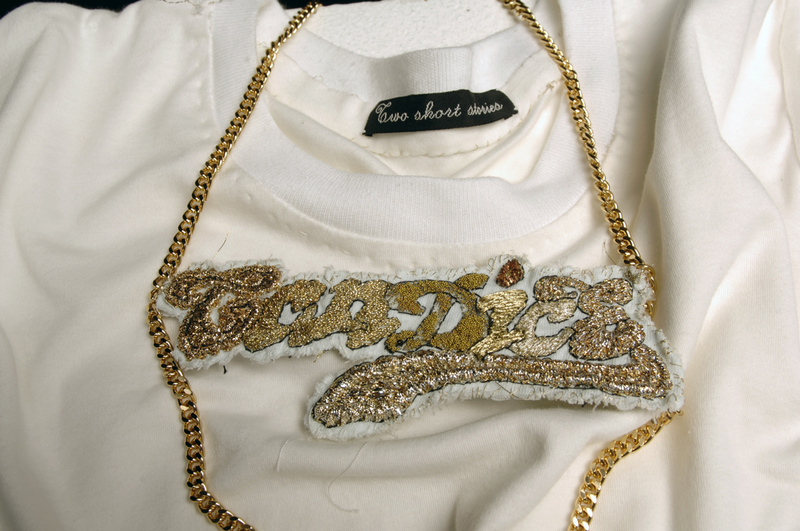 I connected this gold embroidery technique to symbols related to Hip Hop. 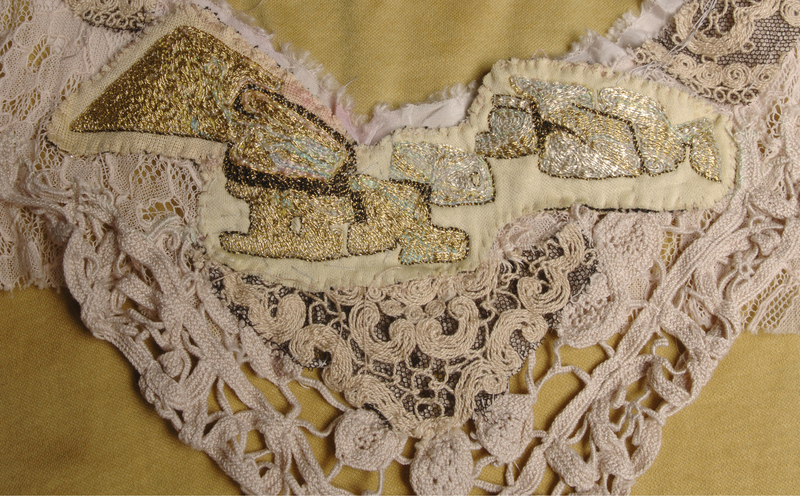 Gold embroidery is an extremely time consuming technique. While working with this technique I first realised and experienced how we lost the relation between creating and the time it takes to actually hand-make it. This triggered thoughts on mass production, the value of goods and it’s relation with money, time and luxury.